Love muffins! Who doesn't love a little home decor that goes a long way, right? I am all about finding the budget buys to add to any space that gives the room just the perfect amount of zhushing. How about items $50 and under? Would I lie to you? 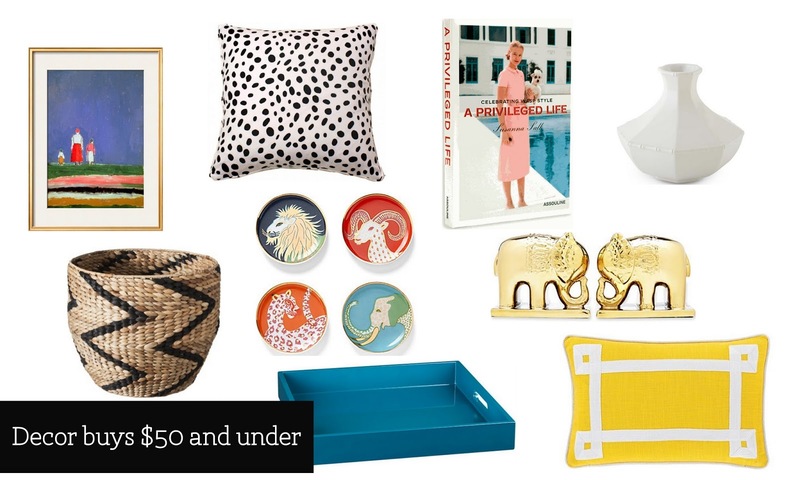 The perfect art, pillow, tray, coffee book and knick knacks. Use any of these to spruce up your space NOW, and you won't break the bank. I want every single thing! !but especially the book! One of each please! Those bookends need to be in my office! Love the bookends and pillow! Love the coasters! Those are so cool!